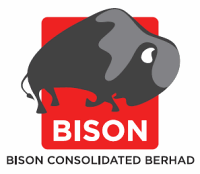 Bison Consolidated Berhad, a convenience retailing company is scheduled to be listed in Main Market of Bursa Malaysia on the 29th March 2016. The Initial Public Offering (IPO) consists of 80.62 million ordinary shares at an IPO price of RM1.10 per share at RM0.20 par value. 62.32 million shares will be for private placement & selected investors, 15.5 million shares to the Malaysian public and the remianing 2.8 million shares for eligible person. The institutional price will be determined by way of book building while for the retail application, it is payable at RM1.10 upon application. If the final retail price is lower, the difference will be refunded accordingly. The IPO will raise about RM88.68 million in proceeds. Out of this, RM50 million will be use for capital expenditure, RM32.23 million for working capital & the remaining RM6.45 million is for listing expenses. Through its subsidiaries, Bison is involved in the business of press and convenience retailing under its main trade name of “myNEWS.com”. As of February 2016, the company has 255 stores nationwide. The company also operate 8 outlets under the trade name of “WHSmith” within Malaysian international airports pursuant to equal joint venture with WH Smith Travel. WH Smith Travel is an indirect wholly-owned subsidiary of WH Smith PLC (UK), one of UK’s leading retailers. Bison is the second largest retail convenience store industry player in Malaysia with an estimated market share of 8.6% in terms of outlet numbers and 6.6% in terms of revenue in 2015. From IPO proceeds, the company plans to invest approximately RM50 millions to expand network of outlets and enhance existing outlets in order to meet the growing demands from customers. More information regarding the company can be found in Bison Consolidated webpage. For the time being, Bison Consolidated does not have any fixed dividend policy. The table below is the financial summary of Bison Consolidated. ** annualizedCIMB Investment Bank is the principal adviser, managing underwriter and sole bookrunner of the IPO. For those who are interested in Bison Consolidated IPO, you may subscribe at ATM machines or via Internet Banking. The retail subscription period is opened until 14th March 2016 at 5pm. Tentative balloting date is on 16th March while the allotment date is on 25th March 2016. Bison Consolidated stock name in Bursa Malaysia is “BISON”. View Bison Consolidated prospectus in Bursa Malaysia webpage. What do you think about Bison Consolidated IPO? Are you going to subscribe?